Italian motorcycle designers have been accused - no doubt, falsely - of being not quite so concerned about how their bikes worked, as how they looked. Or, in other words, of putting form before function. The subject of electrics - mentioned in the same breath as bad weather - has been known to 'spark' such debates! An equal and opposite slander may have been made against the Japanese giants - that is, that in the Seventies, they were not nearly as concerned about a bike's visuals, as they were about its performance. The Honda CBX1000Z might well have been cited as evidence, to that effect. That is, that the design of its engine - by a one-time GP engineer - may have had more to do with its tech spec than aesthetics. Which is not to imply that it was a bad-looking motor. Just a tad 'over-size' in its surroundings! Given the girth of its 6-cylinder block, the 'CBX' handled reasonably well. The bike's manoeuvrability was still more remarkable when its cycle parts were factored in. The frame, forks and wheels were '70s-style-spindly - and dwarfed by the mass of that motor. Flat out, the CBX was good for 135mph. Impressive as that figure was, it was as nothing next to the noise the bike made getting to it. The high-pitched howl of a CBX at full chat was something once heard, never forgotten. Especially, with a slightly 'less than legal' pipe fitted. In which case, it tended to sound more like a jet fighter, than a motorcycle! 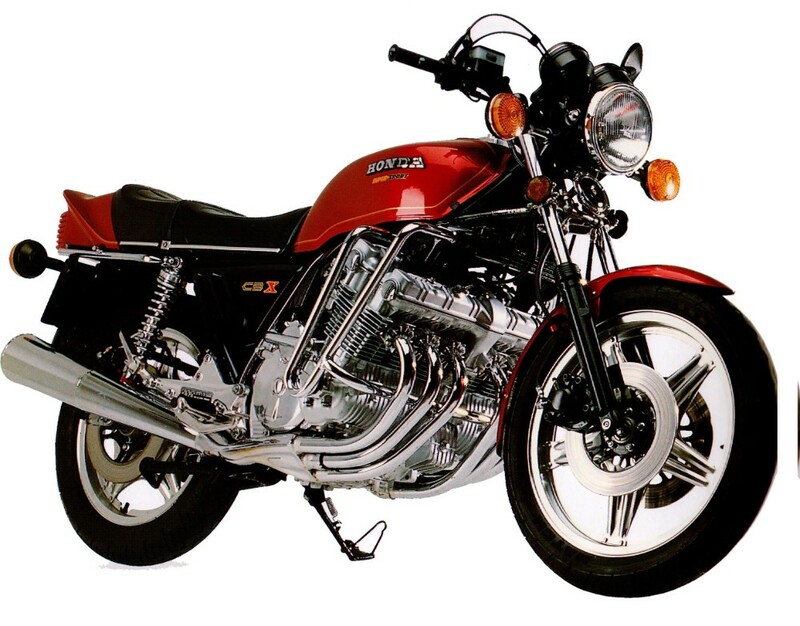 The CBX could be seen as something of a Honda 'folly'. Certainly, it did not sell well - and, over time, would be diluted into less extreme machines. But, motorcycle history would be the poorer without the 'CBX'. Flawed, for sure ... but fantastic fun, nonetheless!